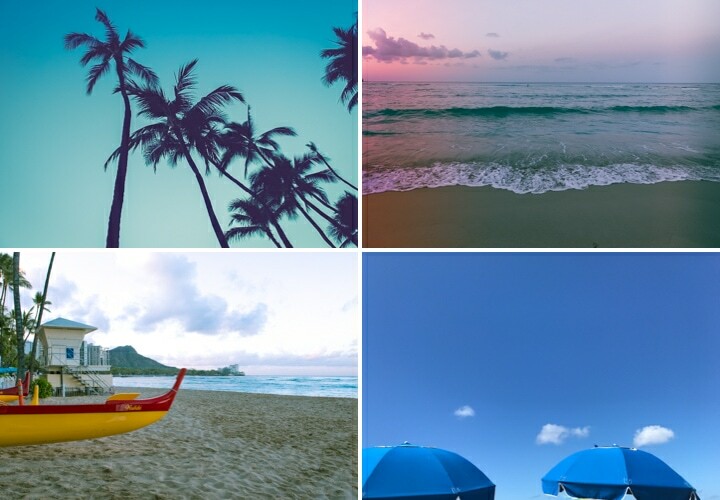 Hawaii Travel Guide Oahu Edition. Last month we went on a family vacation to Hawaii- Oahu and the Big Island. 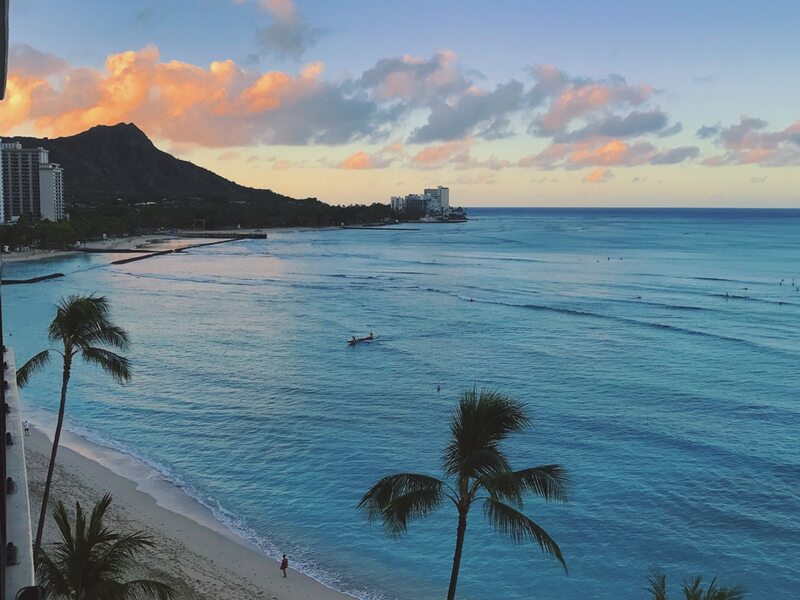 When we were on Oahu we stayed at the Outrigger Waikiki Beach Resort and this is my review of the hotel and our stay in Waikiki. 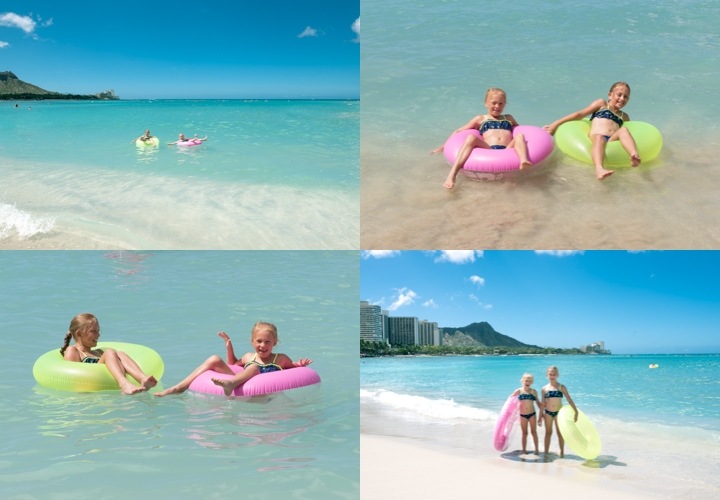 This Outrigger Waikiki Beach Resort Review is sponsored by Outrigger Resorts. 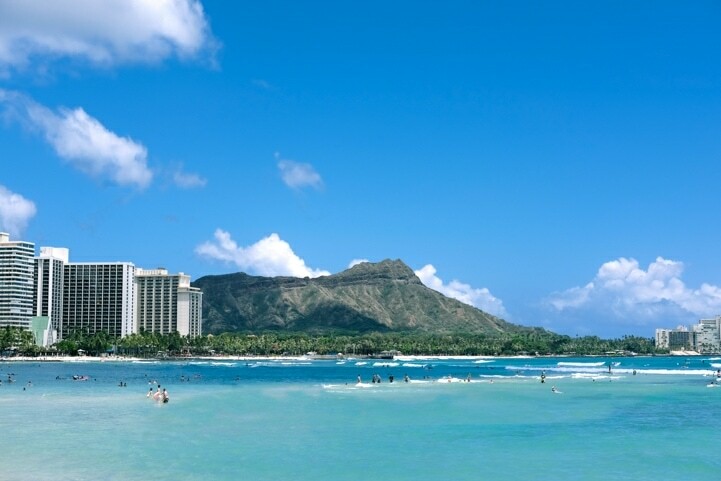 Iconic Waikiki beach and Diamond Head. When one thinks of Hawaii this is most often the image that pops into everyone’s heads. 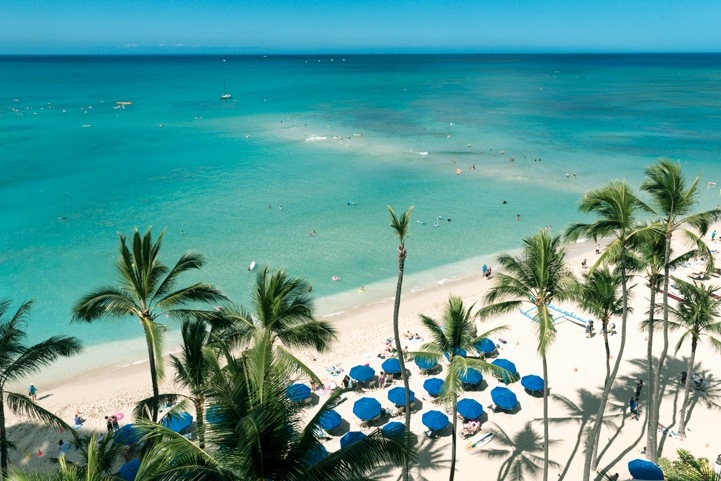 Waikiki beach is an expanse of 2 miles of white sand beaches, sky rise hotels and some of the best surfing in the world. 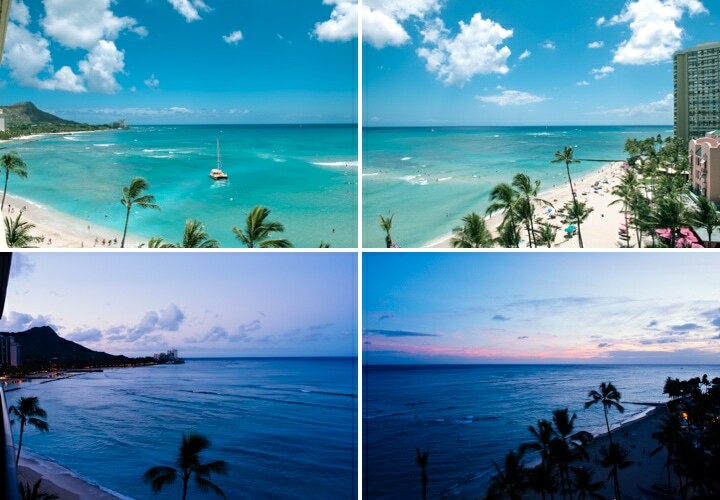 It is actually 8 beaches connected but most know it as Waikiki beach. I spent a good chunk of my childhood on all 8 of Waikiki beaches. My dad was an airline pilot and after a short stint living on the North Shore of Oahu when his arline was stationed there we were back in Southern California and his route was Los Angeles to Hawaii. Which meant we spent a ton of time in Hawaii growing up. Many times we would fly over when he was flying, we would stay and play while he flew trips back and forth. It was pretty cool as a little kid to have my dad being the one to fly us to paradise. I have so many amazing memories of time spent here and I finally got to bring my own family here to experience it with me. My husband and I have been to Hawaii together 11 times now, our kids joining us on 7 of those trips. 3 of which were pre-kids, well 2 pre-kids, one of those trips I was pregnant with our first daughter. 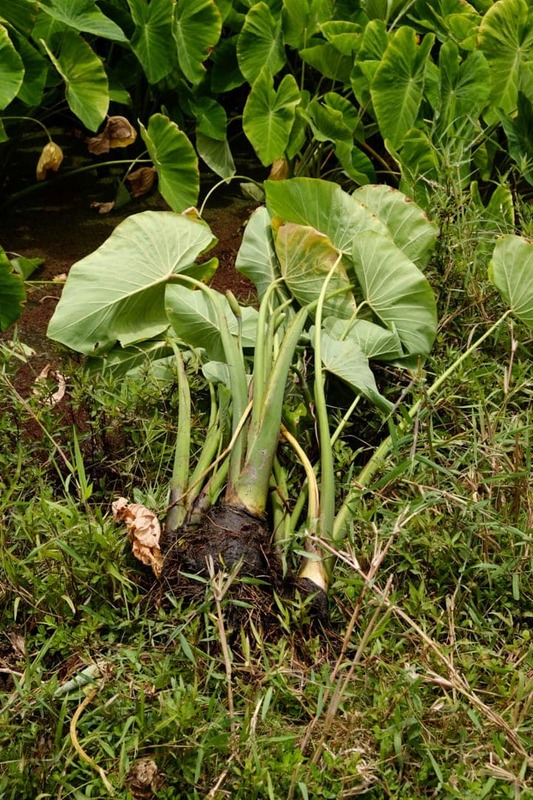 We have always vacationed on other islands, Kauai mostly, a few Maui visits and a few Big Island visits. We decided this time we were going to spend a week on Oahu instead of just a layover. I also wanted to stay at one of the hotels we would stay at as kids when my dad was on layovers in Hawaii. 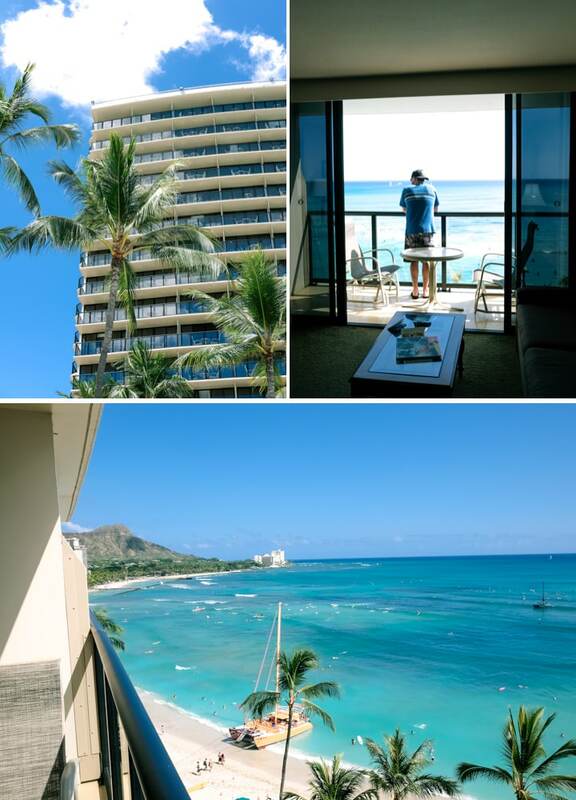 We stayed at many different hotels but one of my favorites was the Outrigger Waikiki Beach Resort. 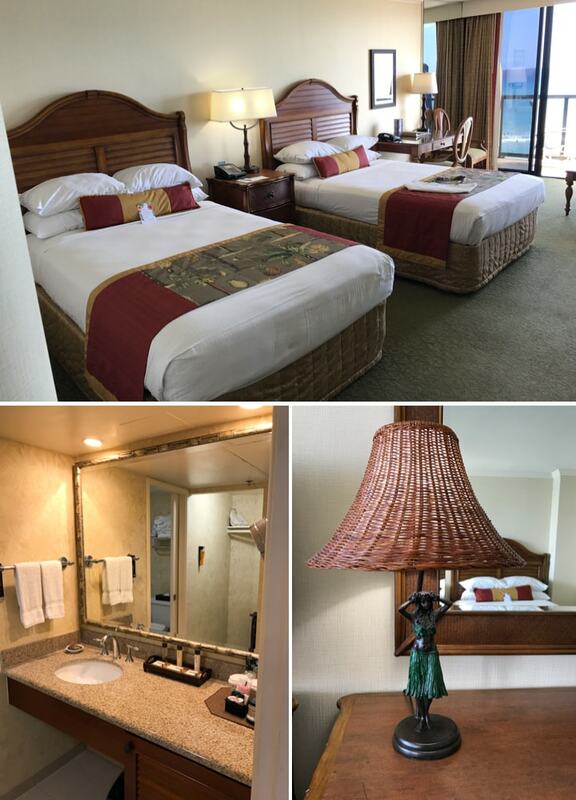 Its central location makes it perfect for the best beach access, easy walks to other Waikiki beaches, shopping at the International Marketplace directly behind it and easy walking along Kalakaua avenue for other shops and restaurants. 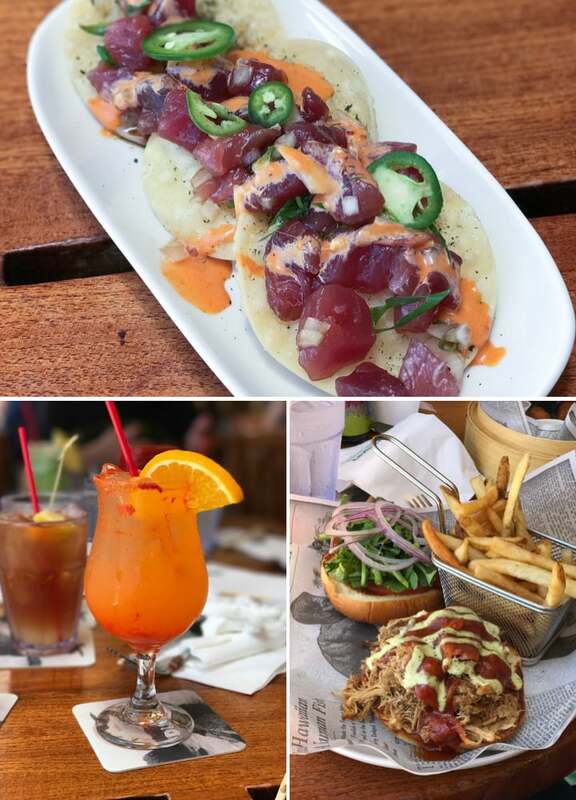 The Outrigger Waikiki Beach Resort has amazing in resort restaurants, Duke’s Waikiki, Hula Grill Waikiki (Our Personal favorite) and Chuck’s Steakhouse. Pai’s Deli located near the pool is perfect for quick grab lunchtime smoothies and sandwiches and Blue Note is wonderful for live music at night along with drinks and dinner. 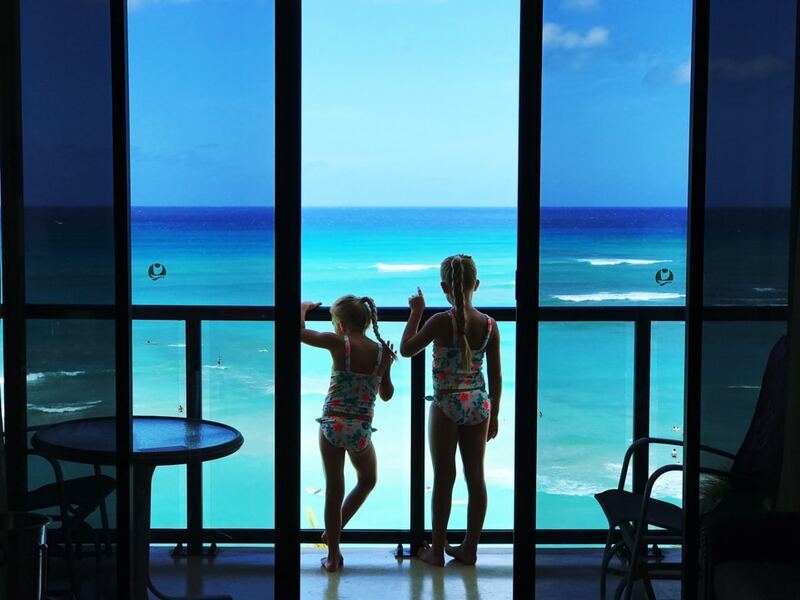 The Outrigger Waikiki Beach resort is an amazing resort to stay at and we had one of the best family vacations there this summer. And we cannot wait to go back! My favorite thing about flying Hawaiian Airlines, besides their amazing service and the fact that there are direct flights from Las Vegas to Hawaii, is the flight status tracker on the screens at each seat. It flips between altitude, speed, wind, temp to the map showing where the plane is over the pacific ocean. I love falling asleep in Las Vegas and waking up to see the plane over the Hawaiian islands. We take the red-eye from Vegas. I would much rather fly at night then waste a day traveling. As soon as we landed we got our rental car and headed straight to the hotel. They gave us chilled POG ( passion-orange-guava) juice to sip while checking in. 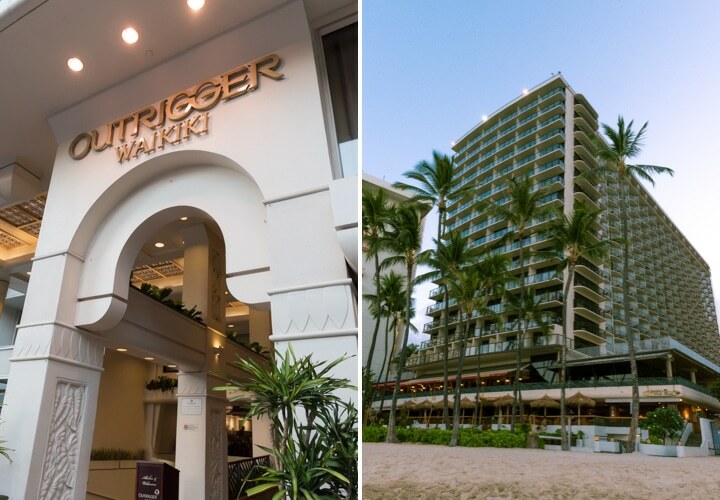 Front entrance of the Outrigger Waikiki Beach resort and the beach view from the back. The hotel is valet only and you pull into the hotel from Kalakaua ave. The valet crew were some of the nicest people I have ever met. 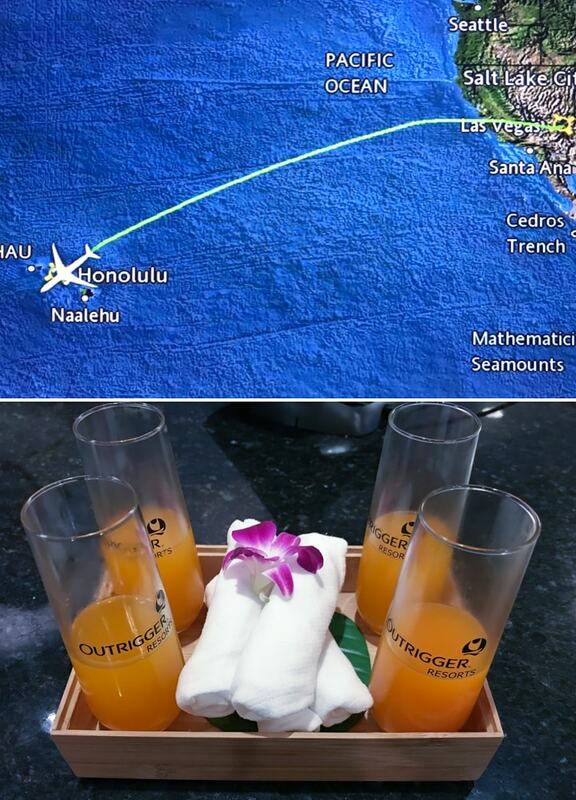 The service at the outrigger waikiki beach resort was top notch throughout our entire stay. 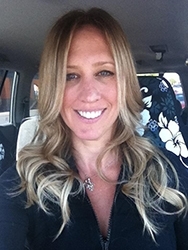 It started with first impressions which was all on the valet crew and we just loved them. We rented a car because we had several adventures around the island we needed a car for but if you are planning on staying at the hotel and only walking around Waikiki a car isn’t necessary. The hotel does have cars to use for day use and one day of renting a hotel car is a lot more affordable than a week’s cost of a car rental plus daily parking fees. Our room wasn’t quite ready yet since we arrived really early on island so we headed to Hula Grill for breakfast. We always dine at Hula Grill for dinner when we are in Maui, but had yet to try it for breakfast. Everything they have for breakfast is really good and we dined there for breakfast on several days of our trip. 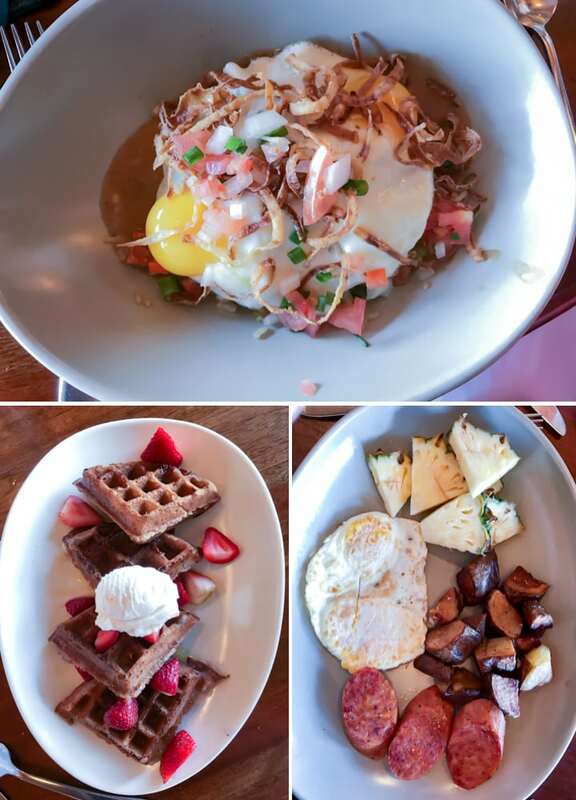 I loved the eggs, pineapple, potatoes and Portuguese sausage as well as the Kalua pork eggs benedict. My kids were all about the chocolate chip pancakes but even better are their Mochi waffles with strawberries. 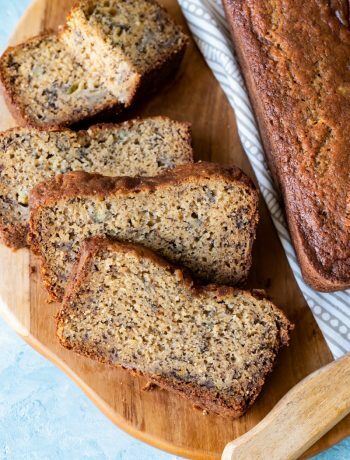 I have made these a few times at home now trying to perfect my version of the recipe and will post on my blog soon. Mochi waffles are amazing. My husband has become a big fan of the famous Hawaiian breakfast dish the Loco Moco so whenever he sees a new variation of it on a breakfast menu he is all for it. 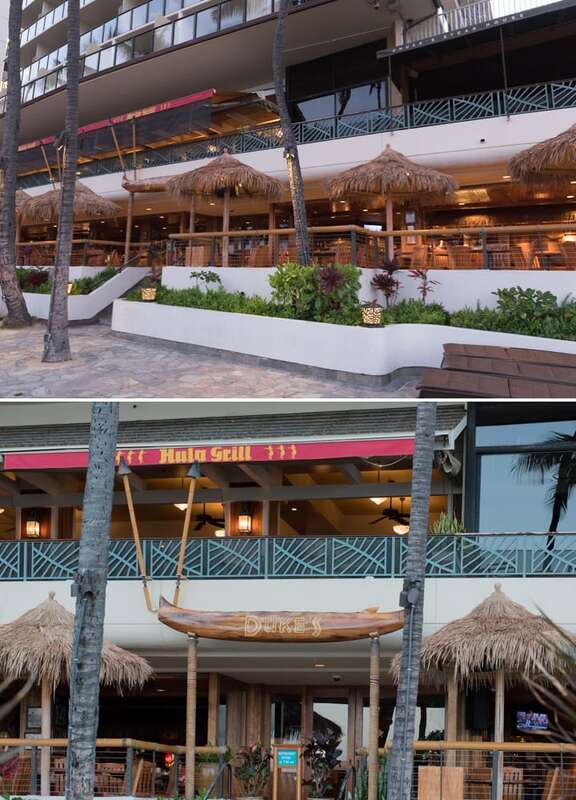 He said that Hula Grill Waikiki has one of the best versions he has ever had. After breakfast our room was ready so we headed up. My husband was in awe of the view. This was his first time staying in Waikiki and finally realized why I love it so much. You really can’t beat the view. 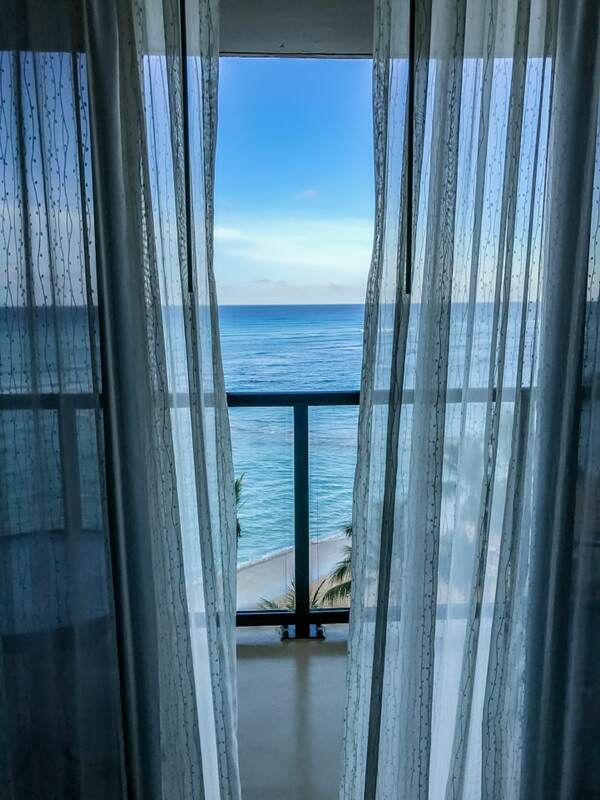 Ocean view room on the 7th floor. This room was perfect for our family. LOVE the hula girl lamp! 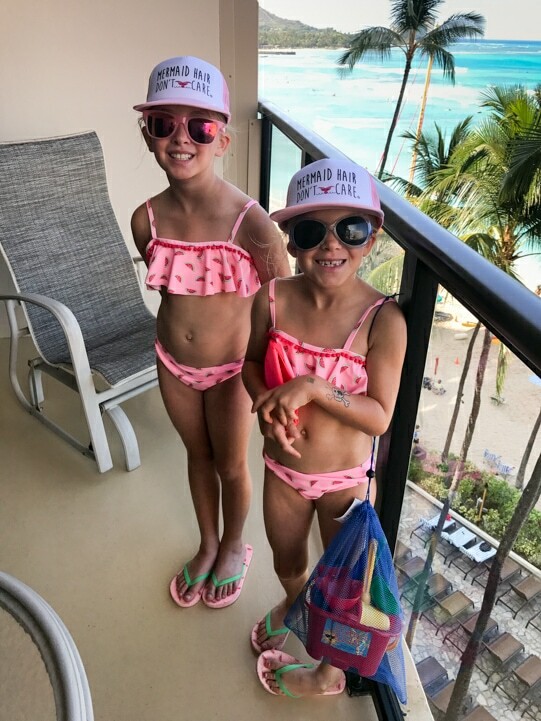 My girls were ready to hit the beach! Can you see them? I ran up to the room to get a new camera battery and snapped a few pics since I could see them in their bright floaties ( Don’t worry, they weren’t alone – dad and grandparents were on the beach watching them). 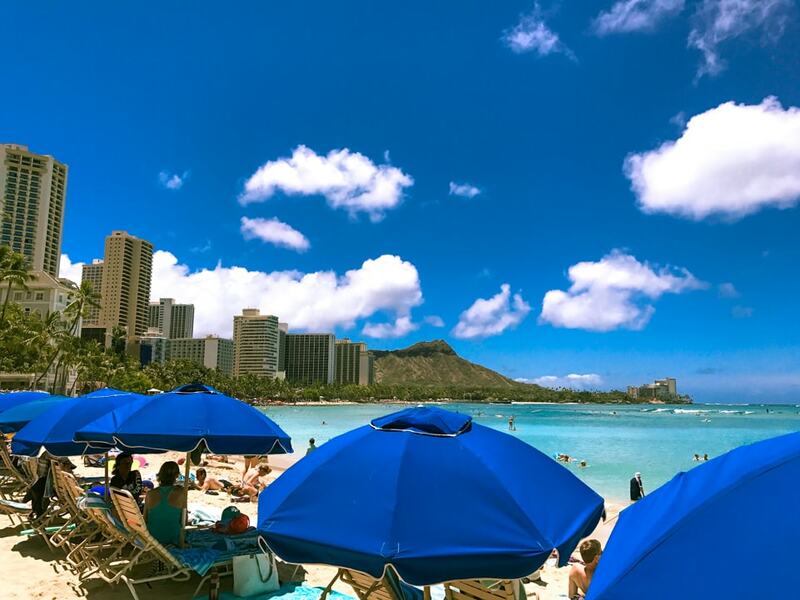 Picture perfect Waikiki beach day under the blue umbrellas of the Outrigger Waikiki Beach Resort. My husband and I would get up early every morning, get cups of coffee from local coffee shops, we went to a different one every day, and go for a beach walk. If the kids were up we would send them to grandma and grandpa’s hotel room, or they would spend the night with them so we could get up early for our walk and the kids could sleep in. I loved watching the early morning surfers hit the waves, the sunrise over Diamond Head and how peaceful the crashing of the shorebreak waves sounded. My favorite sound. 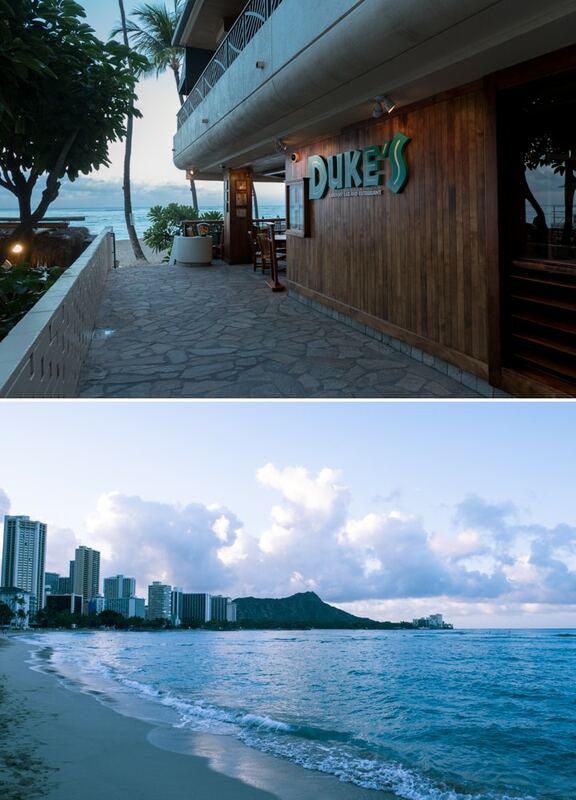 We visited Dukes and Hula Grill for most of our dining while on Oahu. 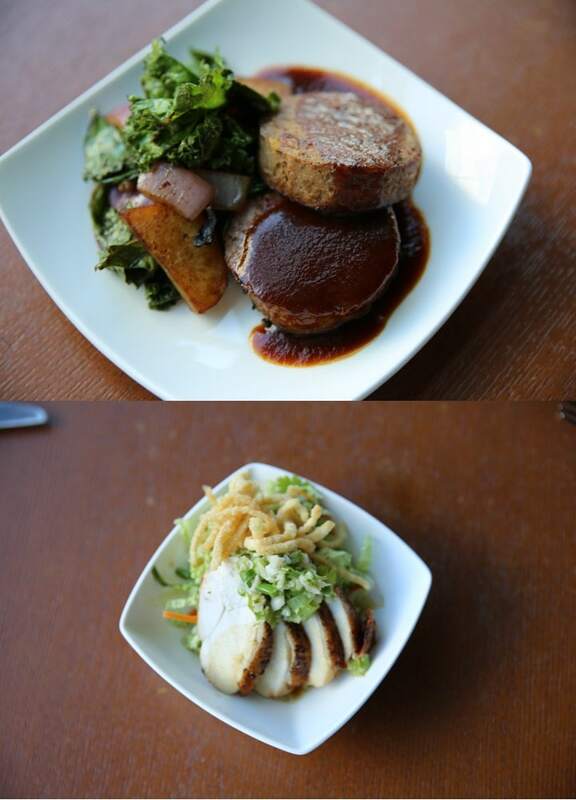 I loved lunch at Duke’s. 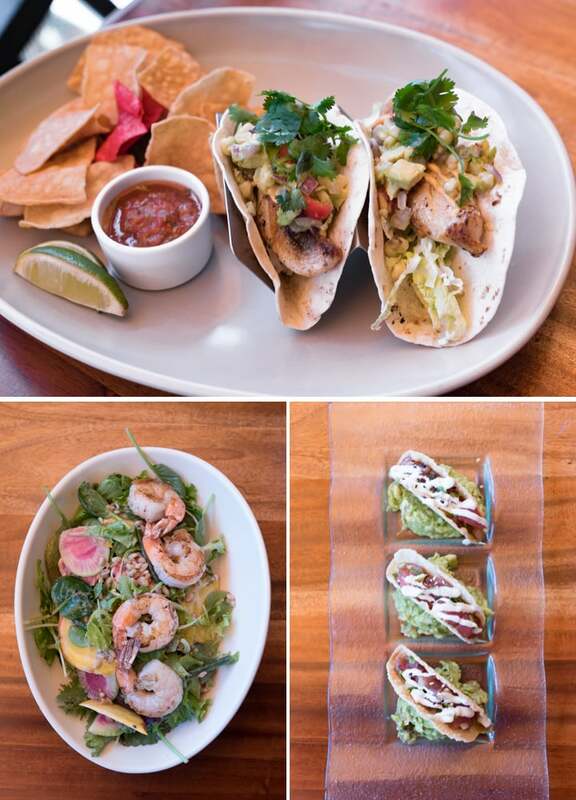 Ahi tacos, pulled pork sandwiches and of course a beach side cocktail. The cocktail here is the “Hawaiian Salt” with Ocean Vodka, lemonade and passion fruit jucee and li hing salt around the rim. 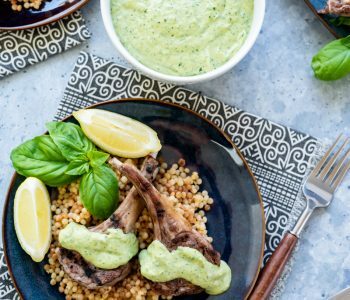 It was absolutely delicious! 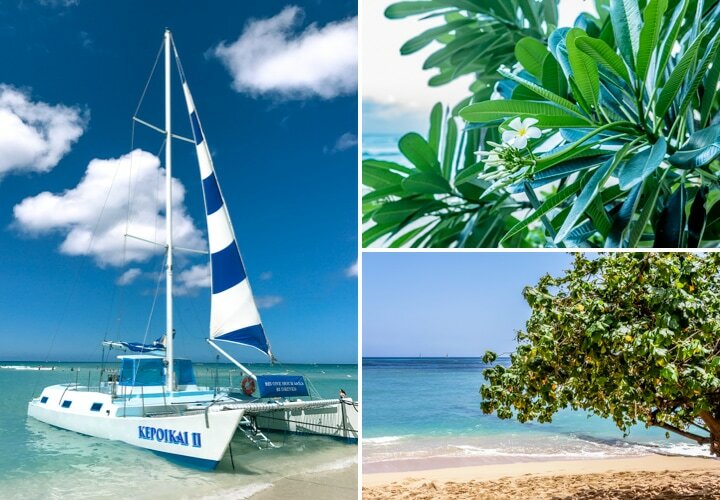 After lunch beach walk and a catamaran ride! 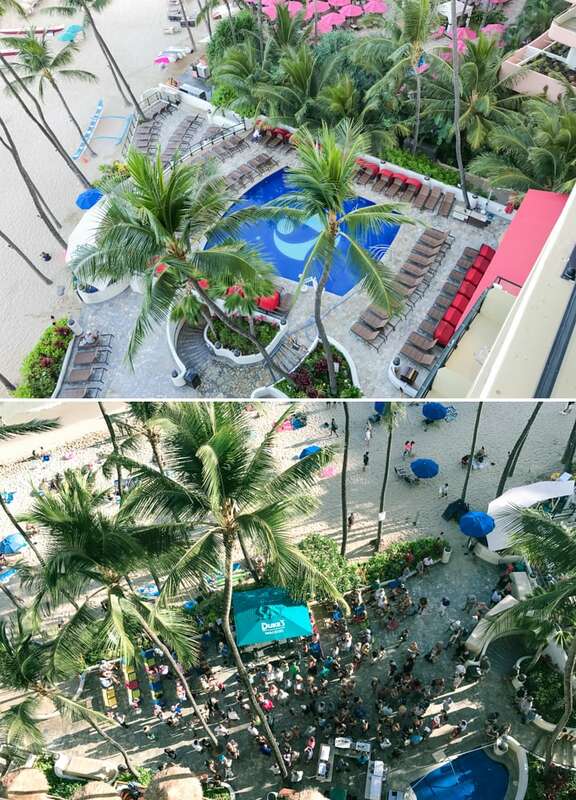 The Outrigger Waikiki Beach resort has a beachfront pool for those of you who prefer to have less sand in their shorts while on vacation. 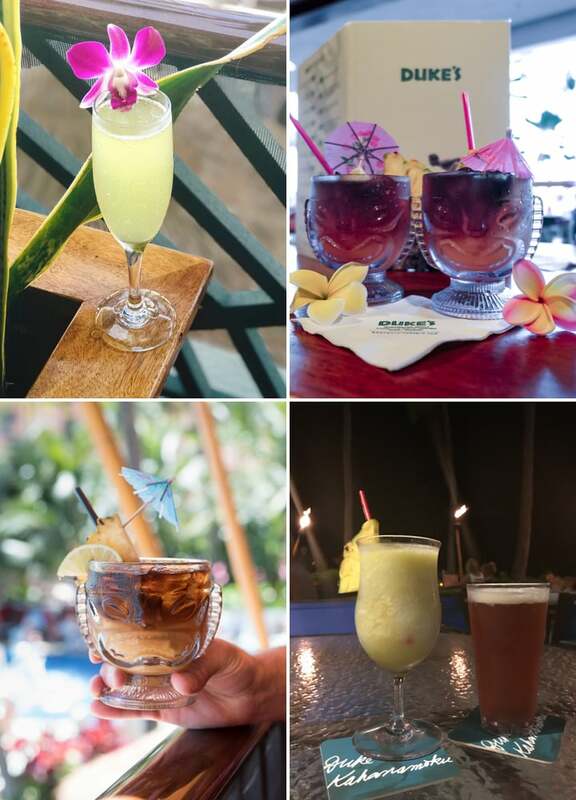 The patio changes from lounge chairs to dining tables and chairs in the evening for patio dining for Duke’s Waikiki and on Fridays it turns into a party with live music, drinks and pupus. It is a really fun time. 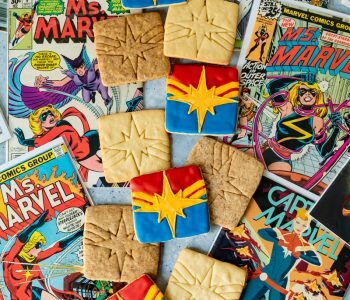 Perfect for Aloha Friday. One of the reasons for this Oahu vacation was that it was my husband and my 10th trip to Hawaii together AND our 10th wedding anniversary. We participated in the complimentary vow renewal ceremony that they have twice a week. The day we attended just so happened to be on our exact anniversary date. We really lucked out. 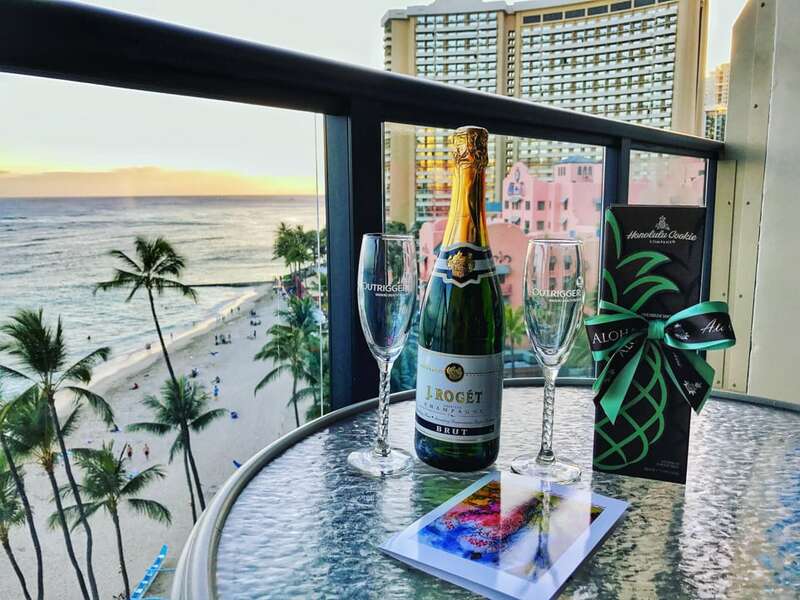 Later that day we were up in our room getting ready for dinner when we get a knock on the door with a bottle of champagne on ice, two gorgeous Outrigger Resorts champagne flutes, cookies from the Honolulu Cookie company ( they are pineapple shaped!) and a lovely card. I was so touched by this simple gesture. Like I said earlier, the service really is amazing. The entire staff makes sure your stay is amazing. There are also daily activities held at the resort that my kids loved participating in. There was a schedule of events posted outside the elevators so we knew what time and days each activity was held. 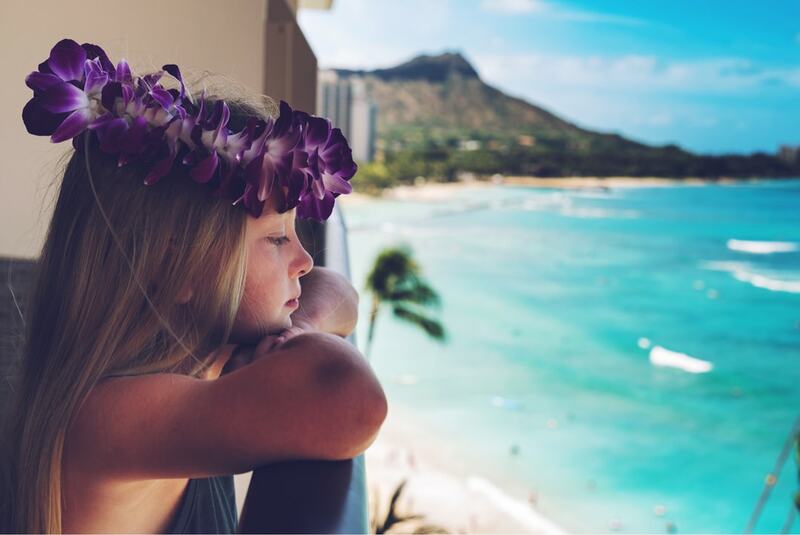 Activities such as hula dancing lessons, ukulele lessons, lei making and more. My girls were very excited about the lei class and the hula dancing. 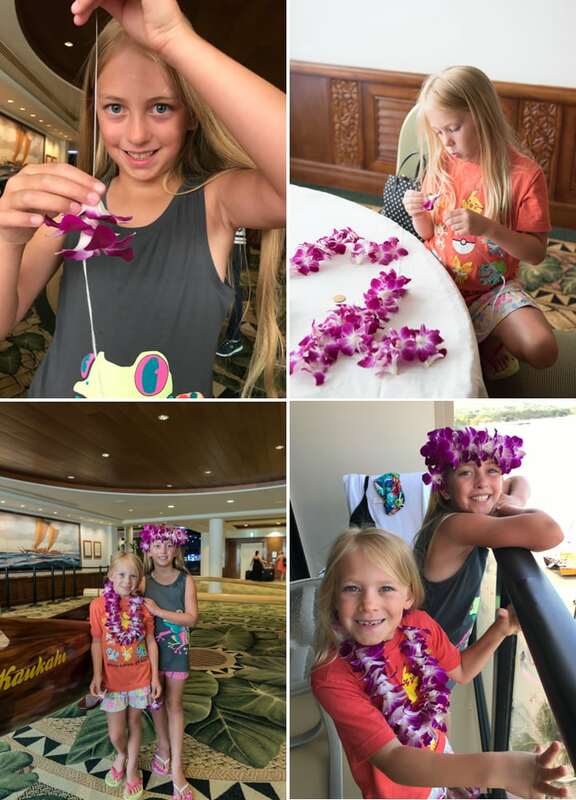 I took hula dancing lessons when I was a little kid at the Outrigger Waikiki beach resort so it was really special for me to see my girls take the class. They loved the lei making class the best. They wished the leis would have lasted for ever so they could bring them home. Fresh flower leis don’t last as long as they should, but they sure are gorgeous! 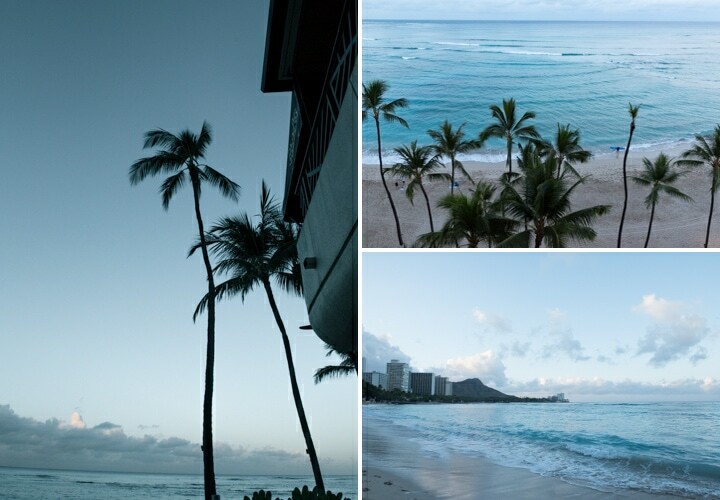 Day or night – you can’t go wrong with the view from any of the ocean front rooms at the Outrigger waikiki resort. My girls loved the view too. All of the cocktails at the resorts restaurants are really good too! Dukes and Hula Grill are famous for their Mai Tais but my favorite drink of the the trip happened to be the coconut mojito I had after dinner one evening while my husband had a local island beer. I am not normally a fan of blended drinks but this one worked!! 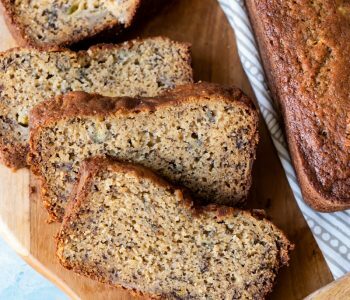 You could get it as is or add in tropical fruit flavors such as passion fruit or guava. I loved it as is and with the passion fruit added in. 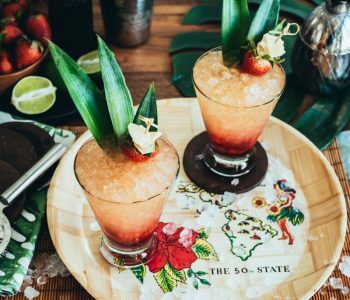 This is a drink I want to recreate for my blog soon! I was up early on our last morning before we had to pack up and head over to the Big Island and I watched these two guys in an outrigger canoe surfing the waves from our hotel room balcony. We got to go out on two outrigger canoe rides while we stayed at the hotel. 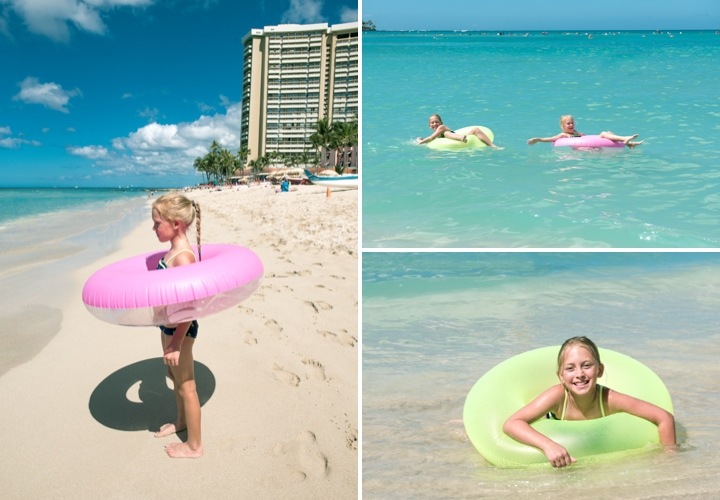 One with Faith Surfing school and one with Waikiki Beach Services. We got in 4 waves with Waikiki Beach Services canoe ride, we almost dumped the canoe on one of the waves but we had the time of our lives. My kids got to sit backwards on the seats while the adults all paddled. I used to compete in outrigger paddling years ago for a team in California and for a team on Oahu. Any chance I get to go out and paddle I take it. My kids can’t wait to go back to Oahu and paddle. I can’t wait for them to be big enough to HELP paddle! Our vacation, like all vacations, seemed way too short. But that only makes it so we want to go back as soon as we can. We had other adventures around Oahu, trip to the North Shore, trip to the east shore to see Lanikai beach, my husband and I got up early one morning for a sunrise hike overlooking Lanikai beach, we stopped by the super windy Pali lookout and a trip to Leonard’s bakery for their world famous malasadas. We had so many adventures on our list and didn’t end up getting to them all. It just means we have to come back soon! I want to thank the generosity of the entire staff of Outrigger Resorts for hosting us on this trip. The friendly service from everyone there was beyond my expectations. From valet, to front desk, housekeeping, restaurant staff and more. This truly was one of the best trips we have gone on and I was so happy to finally bring my kids to a place that has a special place in my heart. Where I spent a good amount of my childhood and I can now say my kids have it as a part of theirs as well. Hawaii really is the best. 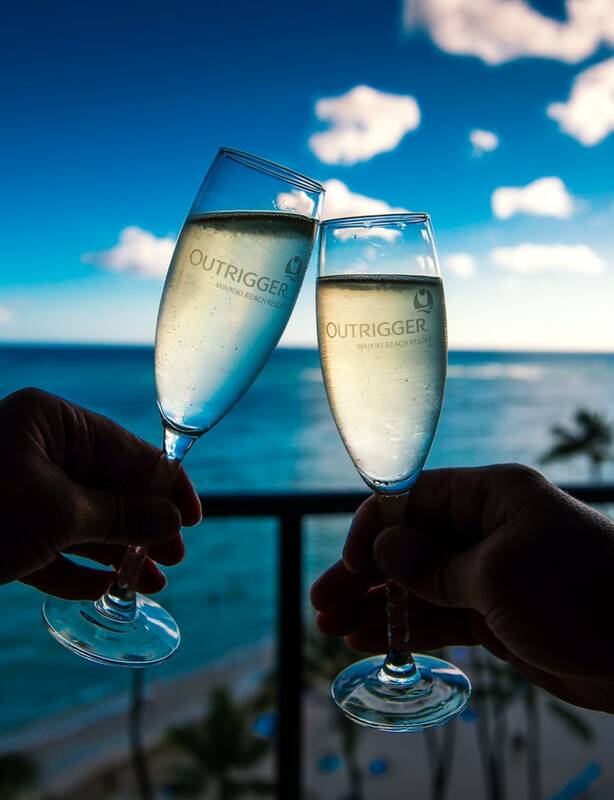 Thanks again to Outrigger Resorts for sponsoring this post and hosting us on such a wonderful vacation at the Outrigger waikiki beach resort hotel. All opinions are my own.